The philosophical values and the goals of Taekwon-Do are firmly rooted in the traditional moral culture of the Orient. On the technical side, defensive and offensive tactics are based on principles of physics, particularly Newton’s Law, which explains how to generate maximum force by increasing speed and mass during the execution of a movement. Always striving for excellence, General Choi presented Taekwon-Do as in a state of continuous evolution, open to changes that would improve its effectiveness. He wrote that anyone who believes he has fully discharged his duty will soon perish. Likewise, any undertaking that is perceived to have reached its objectives is likely to lose momentum, stagnate, and die. His beliefs and his vision of a different approach to teaching martial arts led General Choi to combine elements of Taek Kyon and Karate techniques to develop a modern martial art. He called it Tae Kwon Do, which means “the way of the feet and the hands”, and this name was officially adopted on April 11th, 1955. 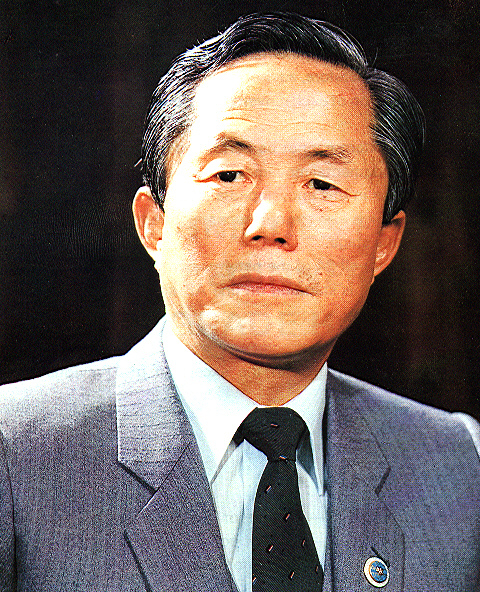 General Choi Hong Hi, Founder and President of the International Taekwon-Do Federation died on June 15th, 2002, in Pyongyang, People’s Democratic Republic of Korea. On April 11th, 1955, a special board of masters, historians, and other important members of Korean society held a meeting. Their purpose was to coordinate the various “kwans” (schools) and select a name for the newly-organized Korean style martial art. After reviewing several different names for the new style, they chose the name submitted by General Choi Hong Hi. That name was “Tae Kwon Do”. General Choi is recognized around the world as the Father of Taekwon-Do and the Founder of the International Taekwon-Do Federation (ITF) and he created the ITF system that we know today.